CultureLink is... a settlement organization that is both old and new. They have over 25 years’ experience in developing and delivering settlement services to meet the needs of diverse communities. Passionate about providing innovative services to newcomers, they adapt to changes and create new programs that best respond to and address our clients’ specific needs. Their services connect cultures to build welcoming communities. Bike Host, a collaborative program involving the Toronto Cycling Think and Do Tank, CultureLink and Cycle Toronto, matches up newcomers who are open to cycling with mentors that ride regularly. In large and small group activities, Bike Host participants practice their communication skills and learn about civic engagement, all while exploring Toronto by bike. It is a great opportunity for newcomers to build community bonds while enjoying fun and healthy outdoor activities. Kristin Schwartz is the Cycling Project Coordinator at CultureLink. Working out of CultureLink, she promotes cycling to newcomers to Toronto by offering cycling workshops and programs like Bike Host, which matches newcomers with confident cyclists who act as mentors, and also with the Bike to School Project. Kristin’s past work has included tenant organizing and community-based writing and radio production. A graduate of the Co-operative Management and Leadership Certificate Program at the Schulich School of Business, she is a founding board member of two grassroots environmental organizations. Cycle Toronto is... (formerly the Toronto Cyclists Union) is a diverse member-supported organization that advocates for a healthy, safe, cycling-friendly city for all. Their vision for Toronto is a city that embraces cycling as an essential part of its sustainable transportation network. Complete streets have been implemented in all neighbourhoods with safe, accessible on and off road cycling infrastructure. The needs of people who cycle are taken into account in all municipal planning and decision-making. Toronto is healthy, safe and livable, and the city is recognized as a leading urban centre, where multiple modes of transportation are not just accepted but are actively promoted. Jared Kolb is the Executive Director of Cycle Toronto. He joined the organization in 2010, first as a volunteer, then Director of Membership and Outreach, followed by Director of Campaigns and Membership, before settling into his current role. The Toronto Centre for Active Transportation (TCAT) is an award-winning project of the registered charity Clean Air Partnership. Since 2006, TCAT has been a highly-respected convener of multiple stakeholders in the promotion of cycling, walking and Complete Streets. TCAT conducts research, develops policy recommendations, and creates opportunities for knowledge sharing--all with the goal of providing evidence and identifying workable active transportation solutions. TCAT has worked with several municipalities, the provincial government and other agencies to influence decision-making, and inform dialogue and public participation in the municipal process. The goals of the Cycling Think & Do Tank align very closely with TCAT’s own, which is to create better cities for cycling and walking. Any measures that are taken to increase the numbers of people walking and bicycling are also an effective route to improve the safety of people walking and cycling. It's always intrigued me why so many people ride their bicycles in Toronto despite the woefully inadequate cycling infrastructure. This project will break new ground in helping to solve that puzzle. Nancy Smith Lea is the director of the Toronto Centre for Active Transportation (TCAT). Nancy has decades of experience in research and project management and has been actively involved in working toward improving conditions for active transportation in Toronto since 1993. She has published several articles on barriers and incentives to cycling and has been invited to speak on a regular basis at conferences and other public forums about her active transportation work. In 2010, Nancy was awarded the Toronto Community Foundation’s prestigious Vital People grant for “Putting Active Transportation on the map”. 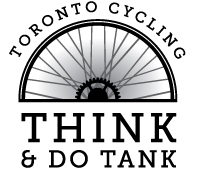 Nancy is thrilled to be a steering committee member of the Cycling Think & Do Tank. dandyhorse magazine is... a 52-page colour celebration of cycling that is published twice a year in hard copy. dandyhorse magazine is for cyclists in the know and for those who want to know more about cycling and the people who love it. dandyhorse is Canada’s pre-eminent arts and advocacy magazine for cyclists. Tammy Thorne is the publisher and editor of dandyhorse magazine and a communications professional working in Toronto. She used to sit on the City of Toronto’s Cycling Advisory Committee until our current mayor shut it down. She’s been biking for business and for pleasure for over 20 years and wishes we had better bicycling infrastructure in Toronto so that more people would bike. 8-80 Cities is a non-profit organization based in Toronto, Canada. We are dedicated to transforming cities into places where people can walk, bike, access public transit, and visit vibrant parks and public places. 8-80 Cities is based on a simple philosophy: if you create a city that’s great for an 8 year old and great for an 80 year old, you will create a successful city for everyone. Our approach is to engage communities at all levels and across multiple sectors to inspire the creation of cities that are easily accessible, safe and enjoyable for all. Currently the Director of Policy and Planning at 8-80 Cities, Amanda O'Rourke has worked on several local and international projects including: Community action plan projects in 36 Ontario communities; the Guadalajara Metropolitan Park Master Plan; the Bicycle Master Plan for the City of León, Mexico; and the Non-Motorized Mobility Master Plan for the Metropolitan Zone of Guadalajara. Executive Director of 8-80 Cities, Internationally renowned liveable city and social marketing strategist, Gil Penalosa advises decision makers and communities on creating vibrant and healthy cities for all. As Executive Director of the Canadian based NGO 8-80 Cities he works to encourage walking and cycling as activities as well as to re-create and increase the use of underperforming parks and streets. He has participated in many walking and cycling studies in North America including large and small cities. At Evergreen, our global showcase for green design and innovation, we are actively exploring leading-edge ideas, technologies, solutions and social innovation for urban sustainability. A main feature is Bike Works, a community bike program and social enterprise that promotes bike culture through training workshops, youth skills development, tours, and do-it-yourself repairs. Evergreen is a national charity that makes cities more livable. At Evergreen, we believe we can solve today’s critical environmental challenges by bringing diverse groups of people together, inspiring them with ideas and engaging them to take action. And we believe it will be in the world’s cities that these challenges must first be met. By convening environmental innovators, city builders, and researchers at the forefront of the emerging green economy, and engaging Canadians to be part of the conversation and solution, Evergreen is helping to create sustainable cities. Stewart Chisholm, Program Director, is passionate about cities and committed to finding more sustainable ways of moving about them. He leads a range of Evergreen programs aimed at professional and community audiences that address urban mobility, green design, local food, water, energy and other issues. Most notably he played a lead role in the development of MOVE (June 2012), a large-scale exhibition that offers a multi-sensory tour of the past, present and future of transportation and an exploration of the innovative ideas and technologies needed to build and connect our communities in efficient and sustainable ways. As an avid cyclist Stewart enjoys his daily commute through Toronto’s unique ravine system. He has served on related municipal advisory committees and has a Master’s degree in Environmental Planning from the University of Waterloo. He is a member of the Canadian Institute of Planners. Fourth Floor Distribution is North America's premier city bicycle wholesaler. It was built on the simple idea that a bicycle is glorious transportation. Since 2005, we have been changing the face of the bicycle business by focusing on getting new riders ready for the road with our fine collection of city bikes. Classic, comfortable, upright and iconic, a city bike glues your life together and opens the road up before you. As a purveyor of fine city bikes, we work with amazing companies and community organizations that believe in the bicycle as much as we do. Our brands represent the benchmark in accessible, beautiful and functional bikes. Building a bicycle culture is really about the bike itself, its transformative and symbolic economy, and its performative function as a tool. Eric Kamphof is a bicycle industry veteran with over 20 years of experience across Canada. While operating Curbside Cycle he was the first to import genuine city bikes from Europe into North America. In 2008 he started Fourth Floor Distribution, North America's first and only dedicated city bike importer. Since then he has consulted several of North America's most prestigious bike stores into operation, following a business model that is 'lifestyle focussed' and references the values and identity of the modern urban-dweller. By increasing city cyclings' value proposition through its glamorization, his work reflects the inspiration behind the Cycling Think & Do Tank, namely, that internalized social metrics -- and not just exterior infrastructure -- are strong conversion factors in the creation of new city cyclists. Eric believes bike stores are essential community hubs, and that creating and nurturing such hubs can reframe broader economic questions around the social benefits of the city cyclist. He begins his PhD in Philosophy this year. Spacing was launched in the fall of 2003 by a group of young journalists and public space advocates who felt that Toronto needed a publication that would bring together a number of key urban issues that were not being discussed by the local media. Topics like public transit, urban design, cycling, public art, community planning, and sustainable development were brought together under one umbrella to create a forum for residents and the urban curious to discuss these pressing topics. Spacing is published in print three times a year and has been named Canadian Small Magazine of the Year in 2007, 2008, and 2009. In 2010, the editors received the prestigious Jane Jacobs Award from the Maytree Foundation and Ideas That Matter. Spacing is also the publisher of a wide array of digital media, including a network of blogs in Canadian cities. All of the large urban regions in Canada face similar challenges of population growth, pollution, and providing a high quality of life. Spacing’s network of blogs helps readers understand the shared goals of Canadian cities and learn from their examples and failures. You can find Spacing blogs in: Vancouver, Toronto, Ottawa, Montreal and Atlantic Canada. Toronto will be a great cycling city, and we'll show the world how we do it. Shawn Micallef is the author of Stroll: Psychogeographic Walking Tours of Toronto and Full Frontal TO, a columnist at the Toronto Star, and a senior editor and co-owner of the independent, Jane Jacobs Prize–winning magazine Spacing. Shawn teaches at the University of Toronto and OCAD University and was a 2011-2012 Canadian Journalism Fellow at University of Toronto's Massey College. He has returned to Massey as a Visiting Scholar for 2012-2013. In 2002, while a resident at the Canadian Film Centre’s Media Lab, he co-founded [murmur], the location-based mobile phone documentary project that has spread to over 20 cities globally.